For B2B wholesale distributors and manufacturers, selecting an order tracking system is a crucial component of improving customer satisfaction related to order fulfillment. Exactly how important is an order tracking system to customer satisfaction? A survey by Forrester Research indicates that 78% of B2B buyers rate the ability to track and trace orders as being very important to their overall satisfaction with their suppliers. 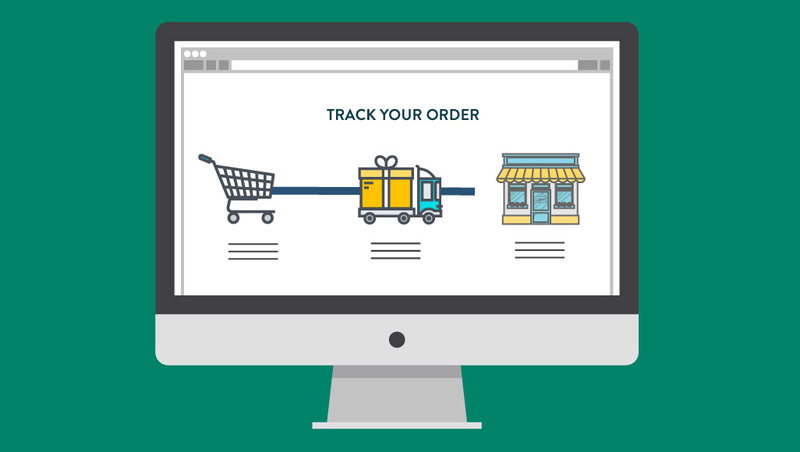 But what is an order tracking system, and why is it so important? What should it allow you and your customers to do? We’ll be discussing these questions and more in this post. Are any items missing or are there problems with my order? Is my order still in the warehouse? Has my order been picked up for delivery? Where is the order right now? Answering these questions for the customer requires visibility across multiple processes and systems. Customers tend to think of orders holistically and are not satisfied with an order tracking system that only allows partial visibility. It’s not enough to know when an order has been filled—customers want to follow the order from its initial placement right up until it arrives at their door. That means an order tracking system needs to be able to follow and provide insight into the status of the order through its entire journey to the customer, from initial order, to the warehouse where the order will be filled, and finally to logistics in which the order will be picked up and delivered to the carrier. Obviously, an order tracking system is not a standalone system. Generally, it must be a component of, or tightly integrated with, other systems involved in the management and fulfillment of each order—including sales order management, warehouse management, and inventory, as well the carrier’s back-end tracking systems such as those offered by UPS and FedEx. Integration of these systems allows the order tracking system to provide the visibility into the order status and location as it moves towards the customer. An order tracking system is important because it’s a key component of the overall customer experience, which is gaining more and more importance in the B2B space. According to a survey by Marketing Week, B2B brands that were once focused primarily on price-led marketing are now touting the value of the customer experience as a tool for retaining their customers and growing their brands. The survey of 250 senior-level marketers at global B2B companies indicated that 58% are focused on value-based marketing, an approach driven by insight into customer needs and the value particular products or services offer to customers. What sets B2B apart from B2C is that the customer is not an endpoint. In B2B, the customer has customers of their own. In more complex supply chains, the status of an order drives other business processes and the ability to fulfill other orders downstream. In many organizations, a “Just-in-Time” supply chain model means that the timeliness of an order and knowing an order’s whereabouts en route to the customer have a critical impact on the customer’s manufacturing and production schedules. In a distribution setting, order tracking is also key because a distributor may be awaiting the arrival of an order from its supplier so they can fulfill an order for a customer further down the supply chain. Whether it’s for a manufacturer or distributor, order accuracy is also positively impacted by order tracking systems. Customers are easily able to double-check orders as they move through the fulfillment process, in many cases allowing them to catch mistakes before orders are shipped, or order alternative items when a desired item is out of stock or backordered. ‍What should an order tracking system do? ‍There are two components to an order tracking system; both should work together to provide B2B customers with enhanced visibility into the status of their order. Open.The order is still being written, and can be changed as necessary. Hold for confirm.The order is finished by requires customer intervention or confirmation before processing. Confirmed.The order is written and confirmed, and is awaiting processing. Processing. The back office has begun invoicing & fulfilling the order. The order may be en route. Complete.The order has been shipped and delivered to the customer. The second component of order tracking is following the package while it is en route to the customer. You can see that in the processing stage, though additional detail may be necessary to track an order after it leaves the warehouse facility. This is easily done with an API or other integrations with the shipper’s back-end systems or by providing a link to the order tracking page of the carrier’s website in a confirmation email. An order tracking system allows you to improve your customer experience and meet your customers’ needs for order accuracy throughout the entire ordering, fulfillment, and delivery process.